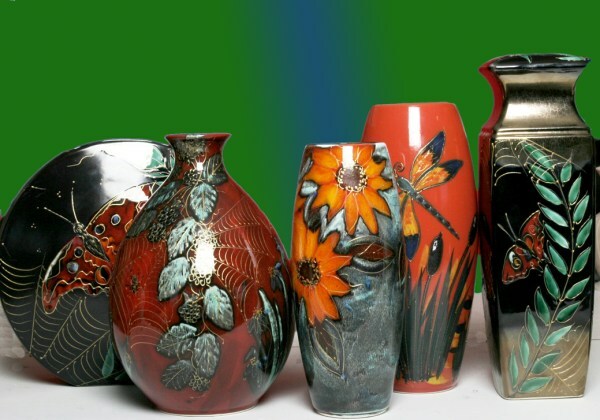 Anita Harris Range of Carlton Ware vases. Black Oval vase 12″, large – £165. Spider and Cobweb vase – handthrown – £195. Bronze lustre butterfly vase £175. Order from the Carlton Ware shop.